The lifestyle choice of eating vegan is not always the easiest to commit to, especially if you find yourself eating out a lot. Fortunately, Chicago is a very vegan-promoting city, even amidst the sidewalk vendors and pizza parlors. 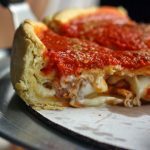 There is an extensive list of establishments that cater to this lifestyle, but here is a list of some of the best vegan restaurants Chicago has to offer to get you started. Vegetarian Express is a take on a classic deli that specializes in vegan and vegetarian dishes. 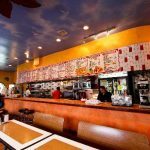 Sandwiches, wraps, tacos and soup are great for grabbing a bite quickly, but they also offer full entrees as well as shakes and smoothies to satisfy your thirst. Their breakfast offers all of the essentials that you need to fill that morning food void. They do not advertise much, and the restaurant does not necessarily call your name from the street, but you will be sorry if you end up walking by it without stopping in. Native Foods’ success has allowed them to spread out across the nation. Their vast selection of items on the menu is enough to surprise anyone. Maybe you are craving a meatball sub or a bistro steak sandwich to break away from soup and salad. Their menu is a full vegan lineup that mimics that of traditional family-chain-restaurants. 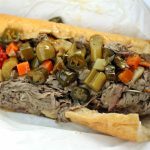 Since 1983 The Chicago Diner has offered a substitute to traditional diners. In the beginning they were scoffed at for having a vegetarian/vegan only menu, but today it is something that they are praised for. They were not afraid to be different, and because of that they are going strong as one of the vegan staples today. The inside is decorated in the classic Americana diner fashion with a menu that reflects the same style, only without the meat. Urban Vegan prides itself on being the original authentic Thai/Asian vegan restaurant. 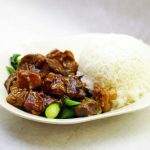 A heaping bowl of stir-fry is a necessity from time to time [or everyday], but skipping out on the different forms of glazed meat can cut down on the taste. 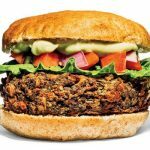 At Urban Vegan, you can have the full experience with their line-up of soy based meat substitutes. Skip the salad or veggie burger and indulge in some of the best Asian cuisine around. Kitchen 17 specializes in American and Middle Eastern cuisine, and on top of that they are a BYOB establishment. Their menu offers a wide of variety that can hit any craving. 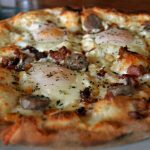 Their gyro has been named one of the best and their house-made seitan has taken home awards, their pizzas and burritos also do not disappoint if you are not in the mood for American or Middle Eastern remedies. Amitabul is another vegan establishment that focuses heavily on Asian cuisine. Their menu reflects very traditional traditions with a lot of options. Some of their dishes are even said to have ‘healing’ effects, but if you are feeling well enough you can be sure that a bowl of soup and a vegetable/rice dish will at least cure your hunger. 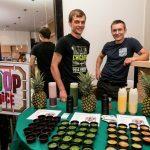 RAW prides themselves one being a 100% plant-based raw food establishment. They firmly believe that this form of eating is the healthiest form for anyone. They aim to educate people of the extensive health benefits, as well as the explosive amounts of flavor that can come from eat and every bite of raw-vegan culinary. The Loving Hut provides a unique, simple, calming atmosphere and a traditional Asian inspired menu. Pulling in dishes from Korea, Vietnam, Japan and more, gives you the option to experience the unique flavors that each country specializes in. Their dessert menu offers enough of a variety that it can cure almost anyone’s sweet-tooth craving.